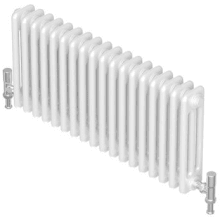 The multi-column radiator is a distinctive choice due to its traditional look and features. The multiple columns can add a classic style to your home, however are effortlessly stylish and striking. 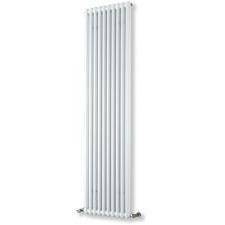 Multi-column radiators are also extremely cost efficient, as they are made from steel they heat up quickly and so pump lots of heat into your living space or bathroom – especially if you have a newer boiler or heating system! 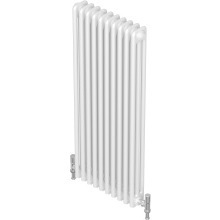 Available in a range of sizes, horizontal and vertical, the multi-column radiator can find a place in any part of your home. Also, these radiators can be easily painted and so will suit any home décor or colour scheme. 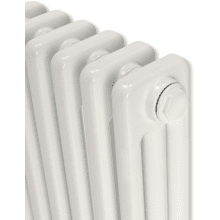 Their structure means these radiators have very little energy wastage and so are a smart choice if you particularly want a cost-effective radiator that will keep you warm and make for a classical yet striking home appliance. Also available are accessories for your perchance such as valves and radiator feet.